This article was originally published in the Interdisciplinary Journal of Problem-Based Learning [https://edtechbooks.org/-vJ]. When asked to provide an overview of problem-based learning for the introductory issue of this journal, I readily agreed, thinking it was a wonderful opportunity to write about a subject I care about deeply. As I began to jot down ideas about “What is PBL?” it became clear that I had a problem. Some of what I knew about PBL was learned through teaching and practicing PBL, but so much more had been acquired by reading the many papers authored by experts with decades of experience conducting research and practicing problem-based learning. These authors had frequently begun their papers with a context-setting discussion of “What is PBL?” What more was there to say? Barrows (1994; 1996) recognized that the process of patient diagnosis (doctors’ work) relied on a combination of a hypothetical-deductive reasoning process and expert knowledge in multiple domains. Teaching discipline specific content (anatomy, neurology, pharmacology, psychology, etc.) separately, using a “traditional” lecture approach, did little to provide learners with a context for the content or for its clinical application. Further confounding this traditional approach was the rapidly changing knowledge base in science and medicine, which was driving changes in both theory and practice. During the 1980s and 1990s the PBL approach was adopted in other medical schools and became an accepted instructional approach across North America and in Europe. There were some who questioned whether or not a physician trained using PBL was as well prepared for professional practice as a physician trained using traditional approaches. This was a fair question, and extensive research was conducted to answer it. A meta-analysis of 20 years of PBL evaluation studies was conducted by Albanese and Mitchell (1993), and also by Vernon and Blake (1993), and concluded that a problem-based approach to instruction was equal to traditional approaches in terms of conventional tests of knowledge (i.e., scores on medical board examinations), and that students who studied using PBL exhibited better clinical problem-solving skills. A smaller study of graduates of a physical therapy program that utilized PBL (Denton, Adams, Blatt, & Lorish, 2000) showed that graduates of the program performed equally well with PBL or traditional approaches but students reported a preference for the problem-centered approach. Anecdotal reports from PBL practitioners suggest that students are more engaged in learning the expected content (Torp & Sage, 2002). However, a recent report on a systematic review and meta-analysis on the effectiveness of PBL used in higher education programs for health professionals (Newman, 2003) stated that “existing overviews of the field do not provide high quality evidence with which to provide robust answers to questions about the effectiveness of PBL” (p. 5). Specifically this analysis of research studies attempted to compare PBL with traditional approaches to discover if PBL increased performance in adapting to and participating in change; dealing with problems and making reasoned decisions in unfamiliar situations; reasoning critically and creatively; adopting a more universal or holistic approach; practicing empathy, appreciating the other person’s point of view; collaborating productively in groups or teams; and identifying one’s own strengths and weaknesses and undertaking appropriate remediation (self-directed learning). A lack of well-designed studies posed a challenge to this research analysis, and an article on the same topic by Sanson-Fisher and Lynagh (2005) concluded that “Available evidence, although methodologically flawed, offers little support for the superiority of PBL over traditional curricula” (p. 260). This gap in the research on the short-term and long-term effectiveness of using a PBL approach with a range of learner populations definitely indicates a need for further study. Despite this lack of evidence, the adoption of PBL has expanded into elementary schools, middle schools, high schools, universities, and professional schools (Torp & Sage, 2002). The University of Delaware (http://www.udel.edu/pbl/) has an active PBL program and conducts annual training institutes for instructors wanting to become tutors. Samford University in Birmingham, Alabama (http://www.samford.edu/pbl/) has incorporated PBL into various undergraduate programs within the Schools of Arts and Sciences, Business, Education, Nursing, and Pharmacy. The Illinois Mathematics and Science Academy (http://www.imsa.edu/center/) has been providing high school students with a complete PBL curriculum since 1985 and serves thousands of students and teachers as a center for research on problem-based learning. The Problem-based Learning Institute (PBLI) (http://www.pbli.org/) has developed curricular materials (i.e., problems) and teacher-training programs in PBL for all core disciplines in high school (Barrows & Kelson, 1993). PBL is used in multiple domains of medical education (dentists, nurses, paramedics, radiologists, etc.) and in content domains as diverse as MBA programs (Stinson & Milter, 1996), higher education (Bridges & Hallinger, 1996), chemical engineering (Woods, 1994), economics (Gijselaers, 1996), architecture (Kingsland, 1989), and pre-service teacher education (Hmelo-Silver, 2004). This list is by no means exhaustive, but is illustrative of the multiple contexts in which the PBL instructional approach is being utilized. Evaluation strategies which do not focus on the key learning issues and which are implemented and acted upon far too late. The possible sources of confusion listed above appear to hold a naïve view of the rigor required to teach with this learner-centered approach. In the next section I will discuss some of the essential characteristics and features of PBL. PBL is an instructional (and curricular) learner-centered approach that empowers learners to conduct research, integrate theory and practice, and apply knowledge and skills to develop a viable solution to a defined problem. Critical to the success of the approach is the selection of ill-structured problems (often interdisciplinary) and a tutor who guides the learning process and conducts a thorough debriefing at the conclusion of the learning experience. Several authors have described the characteristics and features required for a successful PBL approach to instruction. The reader is encouraged to read the source documents, as brief quotes do not do justice to the level of detail provided by the authors. Boud and Feletti (1997) provided a list of the practices considered characteristic of the philosophy, strategies, and tactics of problem-based learning. Duch, Groh, and Allen (2001) described the methods used in PBL and the specific skills developed, including the ability to think critically, analyze and solve complex, real-world problems, to find, evaluate, and use appropriate learning resources; to work cooperatively, to demonstrate effective communication skills, and to use content knowledge and intellectual skills to become continual learners. Torp and Sage (2002) described PBL as focused, experiential learning organized around the investigation and resolution of messy, real-world problems. They describe students as engaged problem solvers, seeking to identify the root problem and the conditions needed for a good solution and in the process becoming self-directed learners. Hmelo-Silver (2004) described PBL as an instructional method in which students learn through facilitated problem solving that centers on a complex problem that does not have a single correct answer. She noted that students work in collaborative groups to identify what they need to learn in order to solve a problem, engage in self-directed learning, apply their new knowledge to the problem, and reflect on what they learned and the effectiveness of the strategies employed. On the website for the PBL Initiative (http://www.pbli.org/pbl/generic_pbl.htm) Barrows (nd) describes in detail a set of Generic PBL Essentials, reduced to bullet points below. Each of these essential characteristics has been extended briefly to provide additional information and resources. Students must have the responsibility for their own learning. PBL is a learner-centered approach—students engage with the problem with whatever their current knowledge/experience affords. Learner motivation increases when responsibility for the solution to the problem and the process rests with the learner (Savery & Duffy, 1995) and as student ownership for learning increases (Savery, 1998; 1999). Inherent in the design of PBL is a public articulation by the learners of what they know and about what they need to learn more. Individuals accept responsibility for seeking relevant information and bringing that back to the group to help inform the development of a viable solution. The problem simulations used in problem-based learning must be ill-structured and allow for free inquiry. Learning should be integrated from a wide range of disciplines or subjects. Barrows notes that during self-directed learning, students should be able to access, study and integrate information from all the disciplines that might be related to understanding and resolving a particular problem—just as people in the real world must recall and apply information integrated from diverse sources in their work. The rapid expansion of information has encouraged a cross-fertilization of ideas and led to the development of new disciplines. Multiple perspectives lead to a more thorough understanding of the issues and the development of a more robust solution. In the world after school most learners will find themselves in jobs where they need to share information and work productively with others. PBL provides a format for the development of these essential skills. During a PBL session the tutor will ask questions of any and all members to ensure that information has been shared between members in relation to the group’s problem. What students learn during their self-directed learning must be applied back to the problem with reanalysis and resolution. The point of self-directed research is for individuals to collect information that will inform the group’s decision-making process in relation to the problem. It is essential that each individual share coherently what he or she has learned and how that information might impact on developing a solution to the problem. A closing analysis of what has been learned from work with the problem and a discussion of what concepts and principles have been learned are essential. Given that PBL is a very engaging, motivating and involving form of experiential learning, learners are often very close to the immediate details of the problem and the proposed solution. The purpose of the post-experience debriefing process (see Steinwachs, 1992; Thiagarajan, 1993 for details on debriefing) is to consolidate the learning and ensure that the experience has been reflected upon. Barrows (1988) advises that learners examine all facets of the PBL process to better understand what they know, what they learned, and how they performed. Self and peer assessment should be carried out at the completion of each problem and at the end of every curricular unit. These assessment activities related to the PBL process are closely related to the previous essential characteristic of reflection on knowledge gains. The significance of this activity is to reinforce the self-reflective nature of learning and sharpen a range of metacognitive processing skills. The activities carried out in problem-based learning must be those valued in the real world. A rationale and guidelines for the selection of authentic problems in PBL is discussed extensively in Savery & Duffy (1995), Stinson and Milter (1996), Wilkerson and Gijselaers (1996), and MacDonald (1997). The transfer of skills learned through PBL to a real-world context is also noted by Bransford, Brown, & Cocking (2000, p. 77). Student examinations must measure student progress towards the goals of problem-based learning. The goals of PBL are both knowledge-based and process-based. Students need to be assessed on both dimensions at regular intervals to ensure that they are benefiting as intended from the PBL approach. Students are responsible for the content in the curriculum that they have “covered” through engagement with problems. They need to be able to recognize and articulate what they know and what they have learned. Problem-based learning must be the pedagogical base in the curriculum and not part of a didactic curriculum. The author states, “The problem simulations used in problem-based learning must be ill-structured and allow for free inquiry.” Create your own “messy, real-world” problem. Decide on a main curriculum area (most good problems are interdisciplinary) and an age group. Construct a problem that could be used in a problem-based classroom. Share it with two people and get their feedback. Revise the problem and submit. These descriptions of the characteristics of PBL identify clearly 1) the role of the tutor as a facilitator of learning, 2) the responsibilities of the learners to be self-directed and self-regulated in their learning, and 3) the essential elements in the design of ill-structured instructional problems as the driving force for inquiry. The challenge for many instructors when they adopt a PBL approach is to make the transition from teacher as knowledge provider to tutor as manager and facilitator of learning (see Ertmer & Simons, 2006). If teaching with PBL were as simple as presenting the learners with a “problem” and students could be relied upon to work consistently at a high level of cognitive self-monitoring and self-regulation, then many teachers would be taking early retirement. The reality is that learners who are new to PBL require significant instructional scaffolding to support the development of problem-solving skills, self-directed learning skills, and teamwork/collaboration skills to a level of self-sufficiency where the scaffolds can be removed. Teaching institutions that have adopted a PBL approach to curriculum and instruction (including those noted earlier) have developed extensive tutor-training programs in recognition of the critical importance of this role in facilitating the PBL learning experience. An excellent resource is The Tutorial Process by Barrows (1988), which explains the importance of the tutor as the metacognitive coach for the learners. Given that change to teaching patterns in public education moves at a glacial pace, it will take time for institutions to commit to a full problem-based learning approach. However, there are several closely related learner-centered instructional strategies, such as project-based learning, case-based learning, and inquiry-based learning, that are used in a variety of content domains that can begin to move students along the path to becoming more self-directed in their learning. In the next section I examine some of similarities and differences among these approaches. Both case-based and project-based approaches are valid instructional strategies that promote active learning and engage the learners in higher-order thinking such as analysis and synthesis. A well-constructed case will help learners to understand the important elements of the problem/situation so that they are better prepared for similar situations in the future. Case studies can help learners develop critical thinking skills in assessing the information provided and in identifying logic flaws or false assumptions. Working through the case study will help learners build discipline/context-specific vocabulary/terminology, and an understanding of the relationships between elements presented in the case study. When a case study is done as a group project, learners may develop improved communication and collaboration skills. Cases may be used to assess student learning after instruction, or as a practice exercise to prepare learners for a more authentic application of the skills and knowledge gained by working on the case. Project-based learning is similar to problem-based learning in that the learning activities are organized around achieving a shared goal (project). This instructional approach was described by Kilpatrick (1921), as the Project Method and elaborated upon by several researchers, including Blumenfeld, Soloway, Marx, Krajcik, Guzdial, and Palinscar (1991). Within a project-based approach learners are usually provided with specifications for a desired end product (build a rocket, design a website, etc.) and the learning process is more oriented to following correct procedures. While working on a project, learners are likely to encounter several “problems” that generate “teachable moments” (see Lehman, George, Buchanan, & Rush, this issue). Teachers are more likely to be instructors and coaches (rather than tutors) who provide expert guidance, feedback and suggestions for “better” ways to achieve the final product. The teaching (modeling, scaffolding, questioning, etc.) is provided according to learner need and within the context of the project. Similar to case-based instruction learners are able to add an experience to their memory that will serve them in future situations. While cases and projects are excellent learner-centered instructional strategies, they tend to diminish the learner’s role in setting the goals and outcomes for the “problem.” When the expected outcomes are clearly defined, then there is less need or incentive for the learner to set his/her own parameters. In the real world it is recognized that the ability to both define the problem and develop a solution (or range of possible solutions) is important. These two approaches are very similar. Inquiry-based learning is grounded in the philosophy of John Dewey (as is PBL), who believed that education begins with the curiosity of the learner. Inquiry-based learning is a student-centered, active learning approach focused on questioning, critical thinking, and problem solving. Inquiry-based learning activities begin with a question followed by investigating solutions, creating new knowledge as information is gathered and understood, discussing discoveries and experiences, and reflecting on new-found knowledge. Inquiry-based learning is frequently used in science education (see, for example, the Center for Inquiry-Based Learning http://www.biology.duke.edu/cibl/) and encourages a hands-on approach where students practice the scientific method on authentic problems (questions). The primary difference between PBL and inquiry-based learning relates to the role of the tutor. In an inquiry-based approach the tutor is both a facilitator of learning (encouraging/expecting higher-order thinking) and a provider of information. In a PBL approach the tutor supports the process and expects learners to make their thinking clear, but the tutor does not provide information related to the problem—that is the responsibility of the learners. A more detailed discussion comparing and contrasting these two approaches would be an excellent topic for a future article in this journal. The use of PBL in undergraduate education is changing gradually (e.g., Samford University, University of Delaware) in part because of the realization by industry and government leaders that this information age is for real. At the Wingspread Conference (1994) leaders from state and federal governments and experts from corporate, philanthropic, higher education, and accreditation communities were asked for their opinions and visions of undergraduate education and to identify some important characteristics of quality performance for college and university graduates. Their report identified as important high-level skills in communication, computation, technological literacy, and information retrieval that would enable individuals to gain and apply new knowledge and skills as needed. The report also cited as important the ability to arrive at informed judgments by effectively defining problems, gathering and evaluating information related to those problems, and developing solutions; the ability to function in a global community; adaptability; ease with diversity; motivation and persistence (for example being a self-starter); ethical and civil behavior; creativity and resourcefulness; technical competence; and the ability to work with others, especially in team settings. Lastly, the Wingspread Conference report noted the importance of a demonstrated ability to deploy all of the previous characteristics to address specific problems in complex, real-world settings, in which the development of workable solutions is required. Given this set of characteristics and the apparent success of a PBL approach at producing graduates with these characteristics one could hope for increased support in the use of PBL in undergraduate education. The adoption of PBL (and any other instructional innovation) in public education is a complicated undertaking. Most state-funded elementary schools, middle schools, and high schools are constrained by a state-mandated curriculum and an expectation that they will produce a uniform product. High-stakes standardized testing tends to support instructional approaches that teach to the test. These approaches focus primarily on memorization through drill and practice, and rehearsal using practice tests. The instructional day is divided into specific blocks of time and organized around subjects. There is not much room in this structure for teachers or students to immerse themselves in an engaging problem. However, there are many efforts underway to work around the constraints of traditional classrooms (see, for example, PBL Design and Invention Center -http://www.pblnet.org/, or the PBL Initiative—http://www.pbli.org/core.htm), as well as the article by Lehman and his colleagues in this issue. I hope in future issues of this journal to learn more about implementations of PBL in K–12 educational settings. We do live in interesting times—students can now access massive amounts of information that was unheard-of a decade ago, and there are more than enough problems to choose from in a range of disciplines. In my opinion, it is vitally important that current and future generations of students experience a problem-based learning approach and engage in constructive solution-seeking activities. The bar has been raised as the 21st century gathers momentum and more than ever, higher-order thinking skills, self-regulated learning habits, and problem-solving skills are necessary for all students. Providing students with opportunities to develop and refine these skills will take the efforts of many individuals—especially those who would choose to read a journal named the Interdisciplinary Journal of Problem-based Learning. What are the pros and cons of PBL? For a specific learner audience and set of learning objectives, design four class activities, one that would follow each of the following four learning theories: case-based learning, project-based learning, inquiry-based learning, and problem-based learning. Albanese, M. A., & Mitchell, S. (1993). Problem-based learning: A review of the literature on its outcomes and implementation issues. Academic Medicine, 68 (1), 52-81. Barrows, H. S. (1988). The tutorial process. Springfield: Southern Illinois University School of Medicine. Barrows, H. S. (1994). Practice-based learning: Problem-based learning applied to medical education. Springfield: Southern Illinois University School of Medicine. Barrows, H. S. (1996). Problem-based learning in medicine and beyond: A brief overview. In L. Wilkerson & W. Gijselaers (Eds. ), Bringing problem-based learning to higher education: Theory and practice. New Directions For Teaching and Learning Series, No. 68 (pp. 3-11). San Francisco: Jossey-Bass. Barrows, H. S., & Kelson, A. (1993). Problem-based learning in secondary education and the Problem-based Learning Institute (Monograph). Springfield: Southern Illinois University School of Medicine. Barrows, H. S., & Tamblyn, R. M. (1980). Problem-based learning: An approach to medical education. New York: Springer. Blumenfeld, P. C., Soloway, E., Marx, R. W., Krajcik, J. S., Guzdial, M., & Palinscar, A. (1991). Motivating project-based learning: Sustaining the doing, supporting the learning. Educational Psychologist, 26 (3/4), 369-398. Boud, D., & Feletti, G. (1997). The challenge of problem-based learning (2nd ed.). London: Kogan Page. Bridges, E.M., & Hallinger, P. (1996). Problem-based learning in leadership education. In L. Wilkerson & W. Gijselaers (Eds. ), Bringing problem-based learning to higher education: Theory and practice. New Directions in Teaching and Learning, No. 68 (pp. 53-61). San Francisco: Jossey Bass. Denton, B. G., Adams, C. C., Blatt, P. J., & Lorish, C. D. (2000). Does the introduction of problem-based learning change graduate performance outcomes in a professional curriculum? Journal on Excellence in College Teaching, 11 (2&3), 147-162. Duch, B. J., Groh, S. E., & Allen, D. E. (2001). Why problem-based learning? A case study of institutional change in undergraduate education. In B. Duch, S. Groh, & D. Allen (Eds. ), The power of problem-based learning (pp. 3-11). Sterling, VA: Stylus. Duffy, T. M., & Cunningham, D. J. (1996). Constructivism: Implications for the design and delivery of instruction. In D. Jonassen (Ed. ), Handbook of research for educational communications and technology. New York: Macmillan. Ertmer, P. A., & Simons, K. D. (2006). Jumping the PBL implementation hurdle: Supporting the efforts of K–12 teachers. Interdisciplinary Journal of Problem-based Learning, 1 (1), 40-54. Gijselaers, W. H. (1996). Connecting problem-based practices with educational theory. In L. Wilkerson & W. Gijselaers (Eds. ), Bringing problem-based learning to higher education: Theory and practice. New Directions in Teaching and Learning. No. 68, Winter 1996 (pp. 13-21). San Francisco: Jossey Bass. Kingsland, A. J. (1989). The assessment process in architecture at Newcastle. In B. Wallis (Ed. ), Problem-based learning: The Newcastle workshop. Proceedings of the ten-year anniversary conference (pp. 121-130) Faculty of Medicine, University of Newcastle. Kilpatrick, W. H. (1921). Dangers and difficulties of the project method and how to overcome them: Introductory statement: Definition of terms. Teachers College Record, 22 (4), p. 283-287 (ID Number: 3982) Retrieved January 23, 2006 from http://www.tcrecord.org. MacDonald, P. J. (1997). Selection of health problems for a problem based curriculum. In D. Boud & G. Feletti (Eds. ), The challenge of problem-based learning (2nd ed.) (pp. 93-102). London: Kogan Page. Maudsley, G. (1999) Do we all mean the same thing by “problem-based learning”? A review of the concepts and a formulation of the ground rules. Academic Medicine, 74(2), 178-85. Newman, M. (2003). A pilot systematic review and meta-analysis on the effectiveness of problem-based learning. Retrieved December 12, 2005 from http://www.ltsn-01.ac.uk/docs/pbl_report.pdf. Sanson-Fisher R. W., & Lynagh, M., C. (2005). Problem-based learning: A dissemination success story? Medical Journal of Australia, 183(5), 258-260. Savery, J.R., & Duffy, T.M. (1995). Problem-based learning: An instructional model and its constructivist framework. In B. Wilson (Ed. ), Constructivist learning environments: Case studies in instructional design (pp. 135-148). Englewood Cliffs, NJ: Educational Technology Publications. Savery, J. R. (1998). Fostering ownership with computer supported collaborative writing in higher education. In C. J. Bonk & K. S. King (Eds. ), Electronic collaborators: Learner-centered technologies for literacy, apprenticeship, and discourse (pp. 103-127). Mahwah, NJ: Lawrence Erlbaum. Savery, J. R. (1999). Enhancing motivation and learning through collaboration and the use of problems. In S. Fellows & K. Ahmet (Eds. ), Inspiring students: Case studies in motivating the learner (pp. 33-42). London: Kogan Page. Steinwachs, B. (1992). How to facilitate a debriefing. Simulation & Gaming, 23(2) 186-195. Stinson, J. E., & Milter, R. G. (1996). Problem-based learning in business education: Curriculum design and implementation issues. In L. Wilkerson & W. H. Gijselaers (Eds. ), Bringing problem-based learning to higher education: Theory and practice. New Directions For Teaching and Learning Series, No. 68 (pp. 32-42). San Francisco: Jossey-Bass. Thiagarajan, S. (1993). How to maximize transfer from simulation games through systematic debriefing. In F. Percival, S. Lodge & D. Saunders (Eds. ), The Simulation and Gaming Yearbook, vol. 1 (pp. 45-52). London: Kogan Page. Torp, L., & Sage, S. (2002). Problems as possibilities: Problem-based learning for K-16 education (2nd ed.). Alexandria, VA: Association for Supervision and Curriculum Development. Vernon, D. T. A., & Blake, R. L. (1993). Does problem-based learning work? A meta-analysis of evaluation research. Academic Medicine, 68(7), 550-563. White, H. B. (1996). Dan tries problem-based learning: A case study. In L. Richlin (Ed. ), To Improve the Academy, vol. 15 (pp. 75-91). Stillwater, OK: New Forums Press and the Professional and Organizational Network in Higher Education. Wilkerson, L., & Gijselaers, W. (Eds.). (1996). Bringing problem-based learning to higher education: Theory and practice. New Directions For Teaching and Learning Series, No. 68. San Francisco: Jossey-Bass. Williams, S. M. (1992). Putting case-based instruction into context: Examples from legal and medical education. Journal of the Learning Sciences, 2, 367-427. Wingspread Conference. (1994). Quality assurance in undergraduate education: What the public expects. Denver, CO: Education Commission of the States. Woods, D. R. 1994. Problem-based learning: How to gain the most from PBL. Waterdown, Ontario: Donald R. Woods. John R. Savery is an assistant professor in the College of Education, the University of Akron. Email: jsavery@uakron.edu. Correspondence concerning this article should be addressed to John R. Savery, The University of Akron, Akron, OH 44325-6240. CC BY-NC-ND: This chapter is released under a CC BY-NC-ND license, which means that you are free to do with it as you please as long as you (1) properly attribute it, (2) do not use it for commercial gain, and (3) do not create derivative chapters. 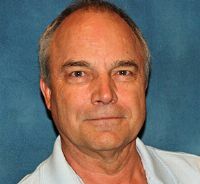 Dr. John R. Savery is a professor of education at the University of Akron in Akron, Ohio, where he specializes in problem-based learning, student ownership, rich learning environments, and e-learning. Prior to his current position, Dr. Savery has served as a director of instructional services, an instructional designer in both the university and corporate realms, and in a variety of faculty positions at both DePaul University in Chicago, Illinois, and the University of Akron.